Set of 8 bunny rabbit gift tags that are strung on jute cord. 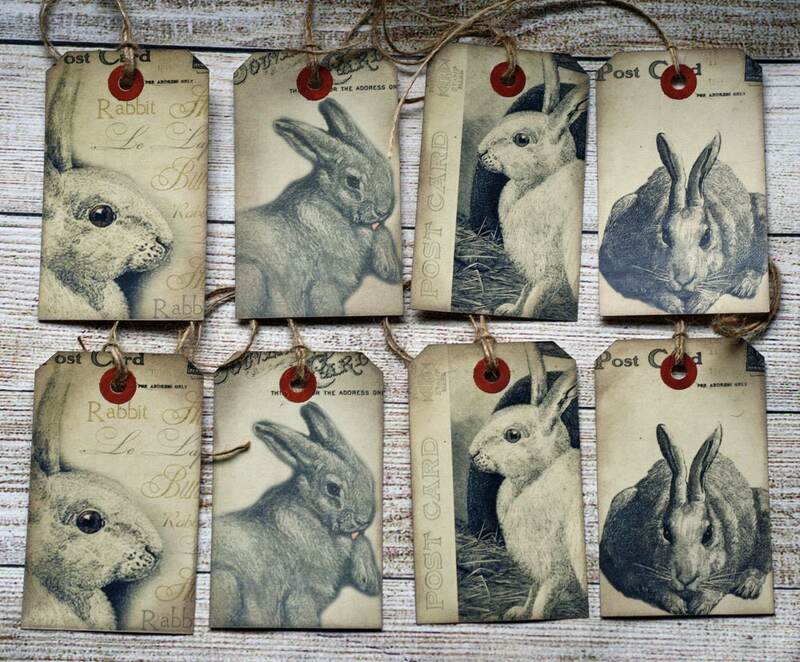 May be used for Easter giving, art journaling, mixed media projects or just because you like vintage and bunny rabbits. You will receive two each of four designs. A total of 8 vintage style hand inked cards, each with a handmade hole reinforcer, strung on jute cord. Backs are blank. Printed on cream colored cardstock. each measure 2 1/5" x 4 1/4". Cute tags. Thank you! Shipped fast! Arrived promptly and I am well pleased.